1. 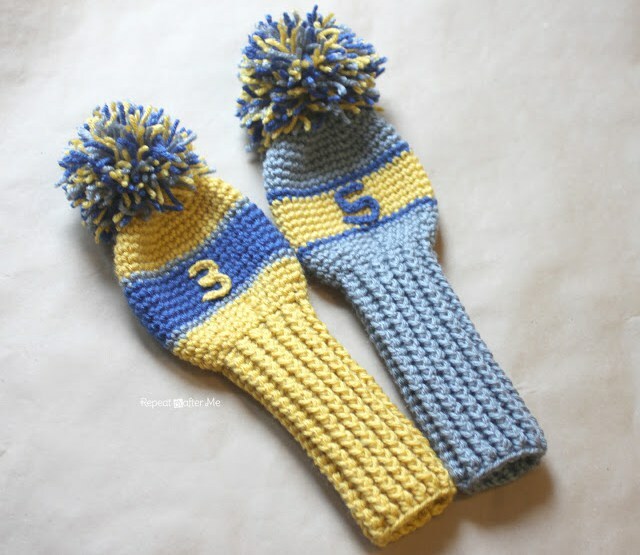 Golf club covers - I think these are so creative, and don't look too girly at all. You can easily adjust to fit your Dad's preferences. The numbers on them are perfect! 2. Stuffed Mario Mushrooms - I mean, I'm not sure what your Dad would actually do with these, but any fan of Super Mario would appreciate these little guys! 3. Tank Slippers - Dad's feet get cold too! Why not warm them up with these awesome slippers. Although this one is a paid pattern, I think it's worth it for how awesome they are! 4. 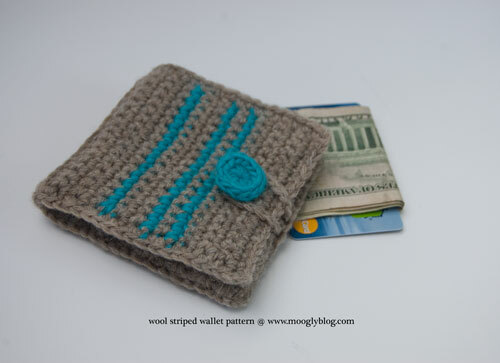 Stripped Wallet - I feel like guys have the most basic wallets, but yet they stuff so much stuff in them! This would be a great one that would actually hold up pretty well! 5. 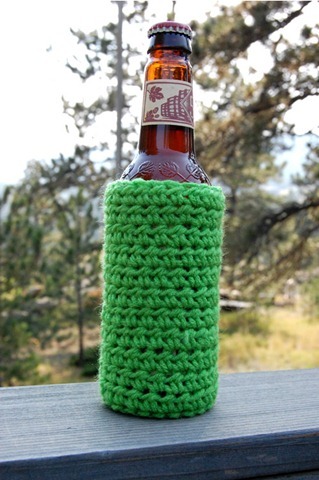 Beer cozy- It's only fitting to put this one in here since in the Mother's Day list I included a coffee cozy! This pattern is pretty cool though because it works for bottles and cans! 6. Grill Mitts - If made with cotton, these mitts can actually come in pretty handy! 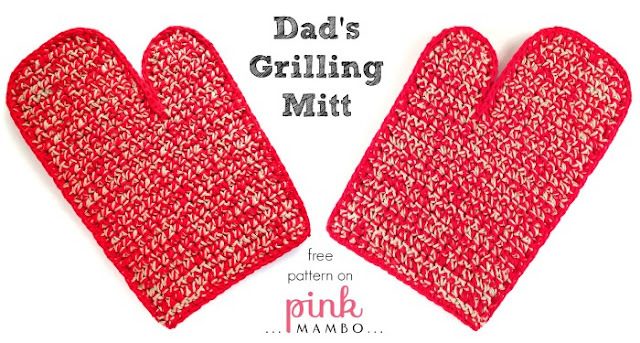 You can customize them how you like to fit your Dad's personality! 7. Car Cup Holder Coasters - So, obviously you probably wouldn't use pink, but these are perfect for the guy who likes to keep a clean car! They are made with cotton, so they absorb liquid well, and can be thrown in the washer and dryer to clean! WHICH ONE DO YOU LIKE BEST? 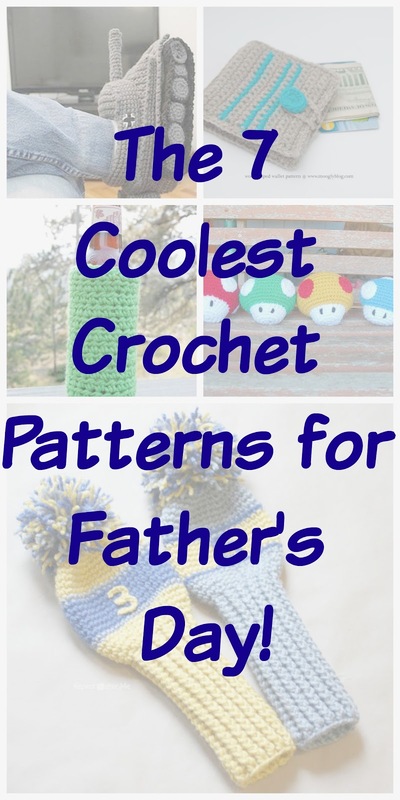 DO YOU HAVE ANY OTHER SUGGESTIONS FOR CROCHETED ITEMS FOR MEN? These are funny. I love tank slippers, they're hilarious!!!! My husband would get a kick out of it. Right? I'm pretty sure my husband has asked me to make them a few times! They would definitely be different than anything else they get! I love them. SO cute, love the mushrooms! I have to say, I don't really believe in things 'for men' and 'for women'. But, my Dad drinks both coffee and beer, so would appreciate either cosy for his beverage! Thanks for sharing! 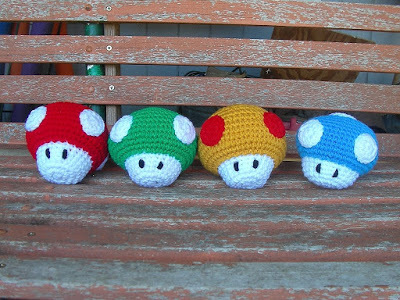 I've made them with mario and luigi hats for newborn twins too. Soooo cute! these are so good!! you have such talent!! These are not my creations but the people who developed these patterns are very talented as well! The stuffed mario ones are so cute! I wish I knew how to make something so pretty! Its a fun hobby to take up for sure! Thanks for visiting! These are so cute I love them all. My husband would really love the car cup holder coasters his cup always sweats this would be perfect. Yes! These are perfect for that! The wallet is so cute. 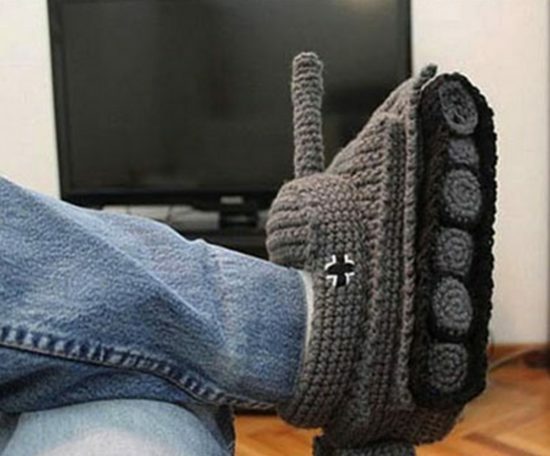 Tank slippers are hilarious! !